An anthology of various aspects of life in Kenya. It covers exploration, travel, war, landscape, wildlife, hunting, customs, settlers, farming, poetry and legend. Also included is an observation of tribal customs of Kikuyu and Maasai peoples. A kaleidoscope of Kenya's peoples and wildlife, history and landscape and the men and women who made their mark upon it. Drawing wherever possible on first hand accounts, the author has arranged this anthology on various aspects of Kenyan life. It covers exploration and travel, war, landscape and wildlife, hunting, customs, settlers and farming and poetry and legend. 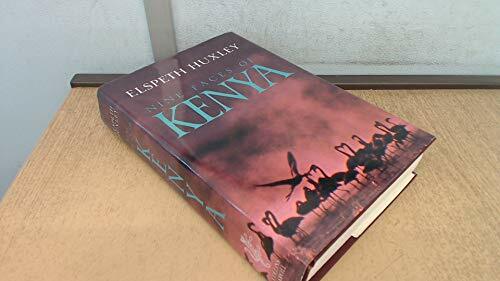 The selection includes a greek guide to the coast of AD100, and accounts of Arab travellers of the middle ages, Vasco da Gama and the Portuguese colonists, English explorers of the nineteenth century, big game hunters and ivory traders, Christian missionaries, British administrators and observations on the tribal customs of the Kikuyu and Maasai peoples.